Dr. Manuel (Tony) A. Domenech is the Program Director of and an Associate Professor for the Doctor of Physical Therapy (DPT) program. He attained a Bachelor of Science in Physical Therapy from the University of Kansas, 1976, Master of Science in Advance Physical Therapy from the Medical College of Virginia, 1982, Doctor of Education degree from Oklahoma State University, 1985, and a Doctor of Physical Therapy from Massachusetts General Hospital Institute of Health Professions, 2008. 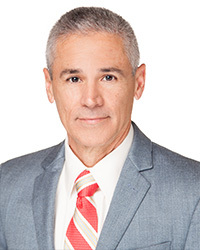 Dr. Domenech is an American Board of Physical Therapy Specialties (ABPTS) certified specialist in Orthopaedic Physical Therapy and a Fellow in the American Academy of Orthopaedic Manual Physical Therapists. Previously, he served as Regional Dean of the School of Allied Health Sciences and Assistant Program Director/Associate Professor of the DPT program for Texas Tech University Health Sciences Center; Physical Medicine Chair of the Physical Therapy, Occupational Therapy, and Orthotic Clinics at Travis Air Force Base; Director of Physical Therapy Clinic at Lackland Air Force Base; Assistant Professor and Director of Clinical Education of the US Army-Baylor Graduate Physical Therapy program; Program Director of the Air Force’s Physical Therapy Assistant program; and Director of the Physical Therapy Clinic at Tinker Air Force Base. He served twenty-two years in the United States Air Force and retired as a Lieutenant Colonel, June 2004. His research has been published in professional journals such as Physical Therapy, USAF Medical Service Digest, Archives of Physical Medicine and Rehabilitation, and PM&R. He has served as an ABPTS Orthopaedic Specialty Council member and a Federation of State Boards of Physical Therapy (FSBPT) Examination Development Committee member. He actively serves the Commission on Accreditation in Physical Therapy Education (CAPTE) as an on-site reviewer.